A collection of stories connected by classic rock songs. After Chen Li Xin botched Zhang Jing Ye's love confession, these two strangers became good friends. As time goes by, they are wondering if they are more than just friends. A super charged rock concert brought them together. But after half a year, Ren Zhao En felt smothered by Zhu Jia Ling's unconditional love and longed to escape. Over the years, Li Jian Qiao lost the ability to love Shen Yan Ru trying to grant her every wish, no matter how unreasonable they were. As his last favor to her, he took care of her and her wedding guests so she can marry another man in style. When they were in school, Li Meng Cheng deeply hurt Xiu Zhen with his philandering. She reacted to the failed relationship by transforming herself into a stronger independent woman. Years later they met again. While he is still the way he was, she had taken on a different mentality. Lu Ming Jin arrives at his new job to discover that he will be working under his ex-girlfriend. The reunion drags out old unresolved feelings. Yao Da Ye bumps into his childhood friend while burglarizing her apartment. He was shocked to discover the outgoing, happy girl he remembered is now a depressed, reclusive amputee. He is determined to get her smile back by making her do all the wild things she thought she couldn't do as a cripple. Qian Ke Xuan is working in a binlang stand when high schooler Zheng Xiang approaches her about the incorrect English spelling on her cart. Ever since then, they have been hanging out in the library together. He inspires her to become the girl he sees in her. Zhou Jun Zhi likes Fang Jing Wei and desperately wants her to reciprocate his feeling. He does things to get her attention. He believes if he can make her do something she doesn't want to do, it means she likes him too. 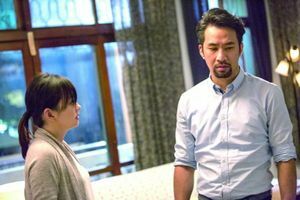 Social worker Zhuang Zhe Kai has a hard time keeping his professional detachment when caring for a pair of twin sisters. His concern for the well-being of the autistic younger sister leads him to stray from his duties. A man looks back on how he lost his best friend to jealousy. Mei Ying works from home in order to care for her dementia mother, who has gone missing when she forgets to lock the front door. During her frantic search, she receives a call from a man on an island alleging that her mother is staying with him. When she flies there, she finds her mother behaving happier than she has been for years. The stress of caring for her sick mother slowly melts away the longer they stay on the island. Cai Xiu Min is a vivacious single mother who was widowed 4 times and had a child from each marriage. Despite her unfortunate luck with husbands, she never gives up on her happily ever after. Then she meets a man who looks just like her 1st husband. A woman asked her ex-husband to stay over to watch over her and their child as they tried to figure out if they are living in haunted house. She hoped it would help get them back together. The early onset of Alzheimer's disease robs Xu Zong Xiu's memory but not Wang Zhi Sheng's love. As her condition deteriorates, his only wish is for her to remember his name. 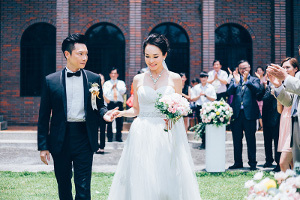 Liu Hao Zhi is more than happy to give his wife the wedding that they never had. But a call during their wedding shatters their bliss. They are bankrupted because his coworker has embezzled the company fund. The good life he built for his family crumbles before him, and he has difficulties adjusting to the change. A woman leaves her father and her longtime boyfriend's care to live on her own. Having experiencing the hardship of real life, she learns how lucky she had been under their protection. A woman thinks it's karma that she can't keep a good man because she manages her philandering boss' extra marital affairs by covering up his cheating from his wife, mistresses, girlfriends, and tabloids. She then develops a girl crush on a client who is everything she wants to be herself. 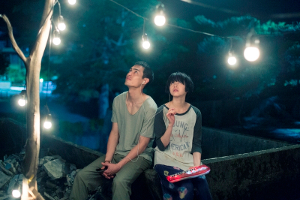 A girl with old soul and a middle age man who is young at heart become intimately involved over poetry.